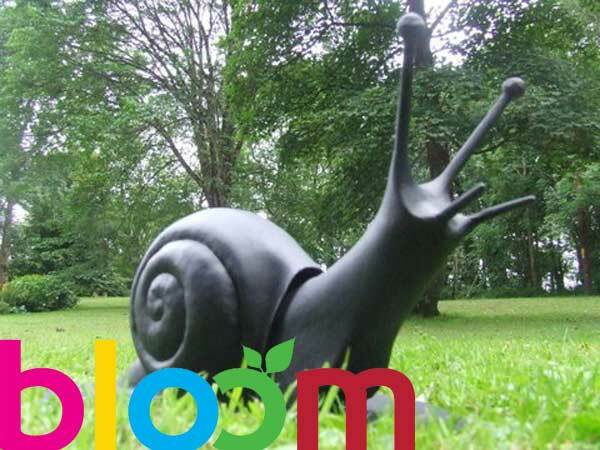 Gardensculptures.ie are off to Bloom! We are really very excited about our large concept Garden of Sculptures at Bloom 2014. We have sourced over 40 sculptures and collaborated with the talented Ingrid Swan of IS Design. This new addition to Bloom promises to wow visitors with over 40 spectacular pieces. The tremendously visual area at the Main Entrance to the show will inspire and excite visitors, proving that Irish designed and made sculptural pieces can enhance almost every garden and outdoor space no matter how large or small. The general aim of this concept garden designed by Ingrid Swan of IS Design is to bring garden sculptures to the masses and to create an avenue for people to buy directly or order their own bespoke piece from www.garden-sculptures.ie . The prices start at €65 for the smaller pieces making the transformation of your garden with sculpture very affordable.